Lace is one of those pieces that is so classic and feminine. It's probably only one of the few pieces that have been around for years and years. 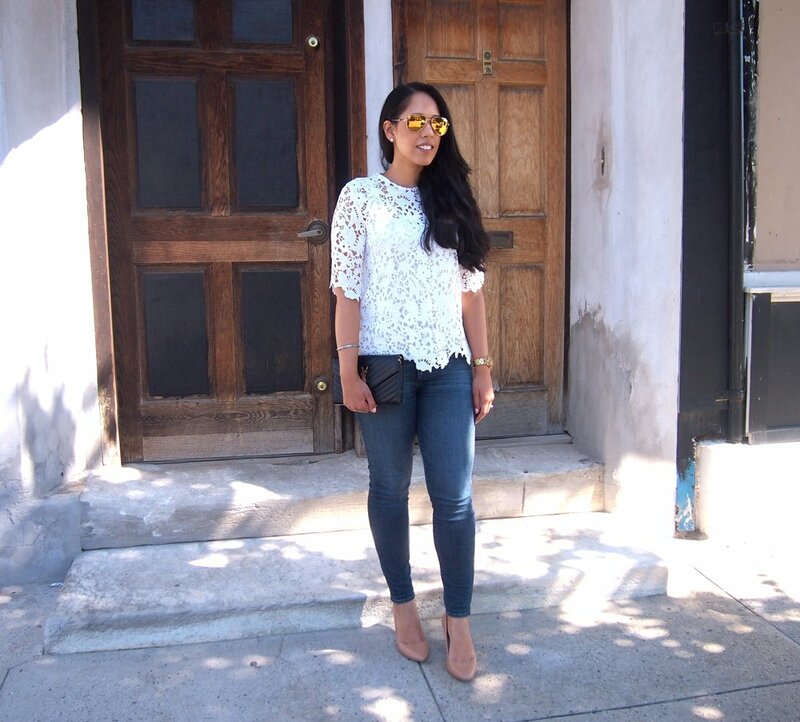 I scored this white lace top from Zara which is on sale right now for $22.99! Seriously guys, that's such a great deal. The material of the lace is thick and provides good coverage. I wore this top to work with a pair of black pants and then to dinner with jeans. I am wearing a size extra-small in this top since it runs a little on the large size (my usual size is small from Zara). I am wearing a tank top underneath from H&M. One of the other takes on wearing a lace is to get rid of the tank underneath and pair with a pretty bralette. If you want to stay on the more conservative then opt for the tank top or cami like I did above. Lace is definitely one of those pieces that you need to incorporate into your wardrobe since it'll never go out of style and is always trending! What do you think of this trend?